LONDON — Don’t pester the wombats. That is the plea from Australian tourism officials dealing with hordes of visitors to an island and nature preserve who cannot resist the urge to follow the marsupials around, approach them for selfies or even cuddle them. 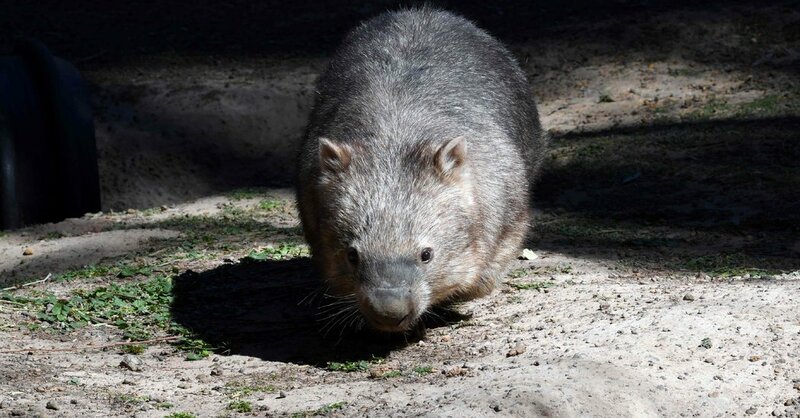 Wombats roam free on Maria Island, where there are no natural predators and no permanent human inhabitants. Along with other wildlife, they have taken over the island, a former prison colony with a small ghost town and vast green expanses, just off the coast of Tasmania, south of the Australian mainland. Looking like big teddy bears, the stocky, furry animals — each about three feet long and weighing 50 to 70 pounds — have no fear of people, and amble up to visitors as soon as they get off the ferry. But officials this month have called on people to fight the urge to get too close and to respect the habitat they are visiting. “The tourists are in love with the wombats; so in love that we need to give them some education about how to interact with them,” Ruth Dowdy, the head of the tourism board on Tasmania’s East Coast, told ABC Radio Hobart. The wombats do not react much when visitors pose right beside them for memorable selfies, push cameras right up to their noses, take up-close video as they eat or just follow them around. “They pretty much ignore people, but people run up to them and they don’t run away,” Ms. Dowdy said. Though the animals are usually calm about the attention, they can be bothered by it. Wombats are herbivores, but they have powerful jaws and big claws for burrowing, and have been known to bite and scratch people who startle them or approach their young. Local businesses and Tasmania’s Parks and Wildlife service have come up with a pledge, posted at the ferry to the island and online. Maria Island is just one example of a phenomenon known as overtourism, accelerated by technology. It clogs historic towns with pedestrian traffic and prompts questions about whether the love of art has been overtaken by the love of documenting the experience of viewing art. But people interfering with animals, failing to understand that wild creatures really are wild, is a growing problem, too. Sometimes it stems from misplaced compassion, like in the spring of 2016, when visitors at Yellowstone National Park, who thought a baby bison was cold, took the calf into their car and drove it to a ranger station. Later, rejected by its own herd, the calf was euthanized. Often, recklessness is to blame. Last year a woman in Transylvania was injured when she tried to take a selfie with a bear. The trend has prompted officials around the world to look for ways to keep wildlife and visitors safe from each other. In the United States, the National Park Service, for example, invites visitors to take the “Yellowstone Pledge,” available in 10 languages. “Practice safe selfies by never approaching animals to take a picture,” is the top point in the pledge. And animal protection organizations have called on Instagram to crack down on “bad selfies,” those that involve hugging and holding wildlife. The social network has posted warnings on popular hashtags, like those used by people taking selfies with quokkas, another kind of marsupial, in Australia last year. But as some selfies themselves show, Australia also abounds with opportunities to interact with wombats and others in zoos and parks, where professionals can keep an eye on their welfare.